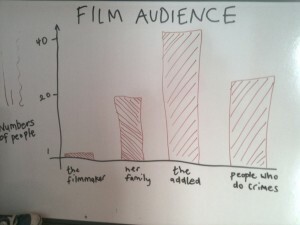 As promised please find a graph detailing the projected audience for my new script. I have tried to be realistic about expectations. I hope it aids your pitch.